Has Stranger Things given us the perfect cast for a Last of Us movie? Stranger Things second season had a lot of positives and was one of the better things on television this year. One of the major positives was the unorthodox relationship between Sherriff Jim Hopper and supernatural teenager Eleven. An unexpected move from season 1, these two formed an unlikely parent-child bond and had one of the more compelling stories of the season. It was a story which developed well and gave us some very sweet moments, particularly building to the climax of the season and the danger Eleven and Hopper would find themselves in together. It isn’t too much of a leap to draw comparisons with another unlikely pairing, that of Ellie and Joel from videogame smash The Last of Us. These were an adult and child thrown together in a more drastic and dangerous situation but who through shared experience grow to need, respect and even love each other in a father-daughter way. It is the heart and backbone of the game and one of the reasons it is so successful. It is also a relationship that could prove difficult to replicate on-screen. The movie version of The Last of Us has been mooted for some time and the casting is at the forefront of the conversation. I have given my views on this subject before but having seen the second season of The Last of Us, I’m changing my mind. David Harbour may not look like Joel from the videogame but he carries himself with the same world-weariness. He acts like a man at the end of his tether and fed-up with what life has thrown at him. He can look convincing with a gun and although not necessarily intimidating, can definitely hold his own in a fight. Millie Bobby Brown is even further away from the character of Ellie in looks but her character of Eleven shares some similarities. Eleven is acting more like a rebellious teenager in Stranger Things’ second season and this is where the hints of Ellie appear. She can do vulnerable and scared but has the ability to turn this on it’s head and go full-blown angry teen. Some of Stranger Things’ darker moments have included Brown’s character and she also demonstrates an edge that is needed in the tough world The Last of Us is set-in. The key to the movie would be the central relationship of the two characters though and this is where the work has already been done. Harbour and Brown have a great chemistry and definitely work well in a father-daughter dynamic. Their scenes in-which they argue are believable and help to make their reconciliation scenes so much more poignant. 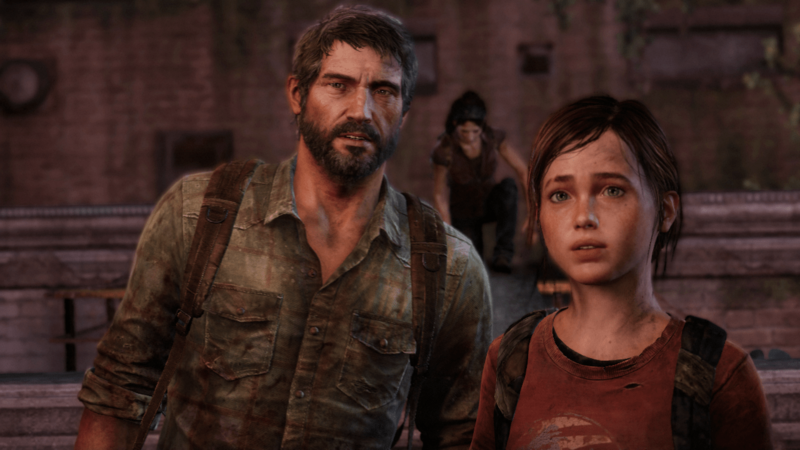 It is the key to a successful Joel and Ellie and it feels like you have a preview to that hidden inside this popular TV show. Overall, Stranger Things seems to hold the key to the central casting in one of videogames most anticipated adaptions. 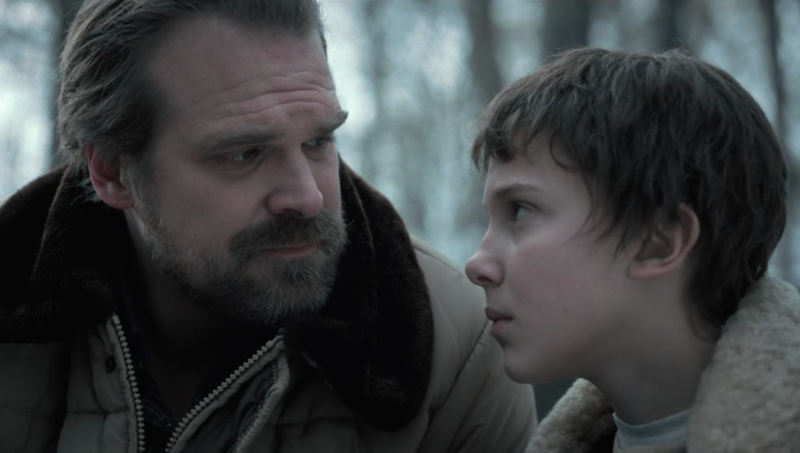 David Harbour and Millie Bobby Brown seem to have already shown how capable they are as an unconventional family unit and this could carry from one science-fiction vehicle to another. Watch the finale when Hooper shoots monsters as Eleven saves the town and tell me that you can’t imagine that as Joel and Ellie.